Fortress Of Freedom Board :: View topic - Twenty6Hundred Aires On Toronto Sessions TV Show! Twenty6Hundred Aires On Toronto Sessions TV Show! Posted: Fri Dec 19, 2014 6:35 am Post subject: Twenty6Hundred Aires On Toronto Sessions TV Show! By Maurice Ali, FOF Inc. / FOF RECORDS Inc.
Twenty6Hundred at Toronto Sessions TV show! Congratulations to Twenty6Hundred on their appearance on "Toronto Sessions" last night at 10:30 on Rogers Channel 10! Originally recorded in October the band showed a more laid back presentation of their music on the television show that showcases local Torontonians, artists and bands. Schedules are never a sure thing but it finally aired and another feather in the cap for Twenty6Hundred! 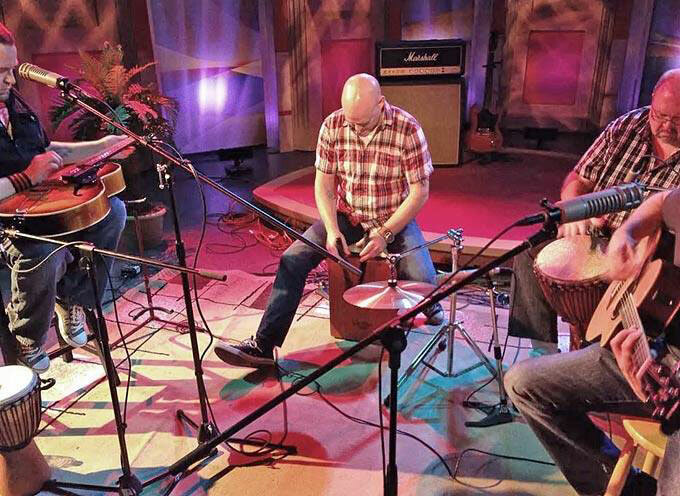 Once again, from all of us at this organization, congratulations to Twenty6Hundred on their appearance on the "Toronto Sessions" television show!